Hard Rock Calling, produced by Live Nation and presented by Hard Rock International, is a unique and historic musical event with two stages and many surprises in store for fans of all ages. In addition to renowned bands and an on-site Hard Rock Cafe, the festival also includes a variety of attractions. 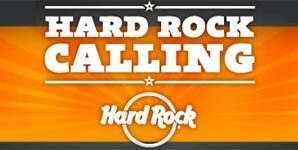 Standard Hard Rock Calling Saturday tickets are £51.75 and Sunday tickets are £69.75.